Duruflé Requiem with Daniel Cook (organ). 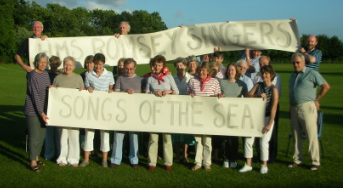 Stanford Songs of the Fleet with Rory Waters (baritone) and Rod Blencoe (piano) and other “Songs of the Sea” including works by Wood, Parry, Pearsall, Ireland, Holst and Willcocks at the United Reformed Church as part of the Romsey Arts Festival. Handel Zadok the Priest, The King Shall Rejoice and carols.